Since being ordained to the priesthood in the Roman Catholic Rite in 1980, Father Robert Rankin has had the privilege of serving a variety of pastoral ministries. At Saint Melany Byzantine Catholic Church, he is the current full-time priest who specializes in marriage and family counseling. His other roles include evangelization, faith formation, sacramental preparation, and religious studies education. Though raised in the Roman Catholic Rite, Father Robert was introduced to the Byzantine Catholic Rite at an early age by his godparents. He experienced the Divine Liturgy at Saints Peter and Paul Byzantine Catholic Church in Peekskill, NY, and Saints Peter and Paul Byzantine Catholic Church in Endicott, NY. Father Robert's exposure to the Byzantine Eastern Rite continued while he was a student at the University of Scranton and Saint Pius X College Seminary where he specialized in Eastern Christian studies and Greek Patristics. He also attended Saint Tikhon's Orthodox Seminary as an exchange student. Upon receiving bi-ritual faculties in 1984, Father Robert assisted at the Byzantine Proto-Cathedral of Saint Mary Protection of the Mother of God for 18 years before transferring to full-time ministry in the Byzantine Rite Eparchy of the Western United States. 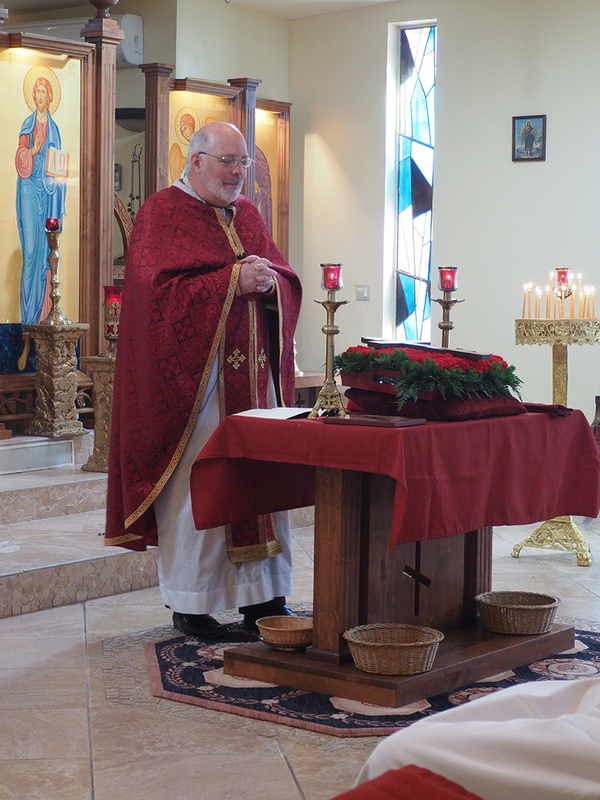 Father Robert has been the pastor of Saint Melany Byzantine Catholic Church in Tucson, AZ, since 2002. The beauty of the liturgical rites. Those rites reflect the Divine presence and set forth a clear path of salvation that is compelling to youth and comforting to adults. An authentic harmonious vision of the faith. In the Byzantine Catholic Church, the gospel is not confused with political correctness, nor are the leftist political policies conflated with gospel principles. The harmonious and shared vision of the faith is held in common by all the clergy and hierarchy. The intimacy that the priest shares with his flock. The Byzantine parish priest calls to Holy Communion each parishioner by name and blesses their home once a year. The ascetical/mystical spiritual tradition of the Eastern Church. The Byzantine Rite challenges and filters out the debilitating influences of a fallen world so prevalent in our modern culture. In the Byzantine Rite, there is no such thing as "fast food religion" or the expectation of doing the minimum to get the maximum spiritual benefit. Being a part of a joyful community. Sharing in the fellowship and mutual charity with parishioners exemplify on earth the heavenly Kingdom to come. If you are searching for a parish that represents the above qualities, Father Robert Rankin invites you to discover the beauty of the Byzantine Catholic Church – in the business of saving souls since 33 AD!